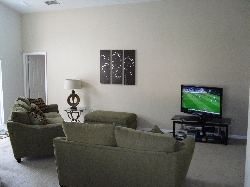 Spacious lounge area with 47in HD TV. Master bedroom, en suite & 40in HDTV. This excellent south-facing villa is fully air-conditioned and carpeted throughout. Ceiling fans in all bedrooms. 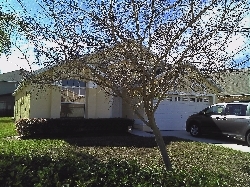 Situated in the quiet residential area of Kissimmee, with children�s play area and lake. It is a tranquil retreat from the bustles of an exciting day at the parks, sitting by the pool before exploring the local nightlife. Just a short stroll to a Super Wal-Mart. 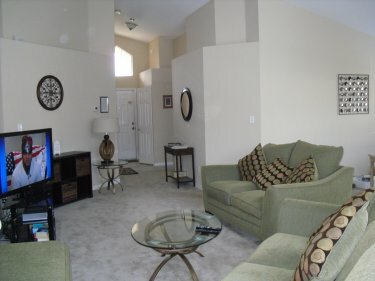 Ideally located for amenities include a good variety of shops and restaurants along the 192 close by. Just 5 miles from Falcon's Fire, a public golf course. Other attractions, parks and outlets are all close by. Newly furnished throughout to a high standard. 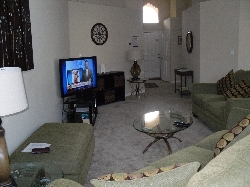 The living area has a 47� HD TV with over 130 cable channels and DVR. Free Wi-Fi is also provided. There is a large sleeper sofa, and second smaller sofa. 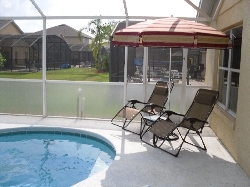 Doors lead to a genuine south facing private pool area for all day sunshine. There is a separate dining area, which can comfortably seat six. 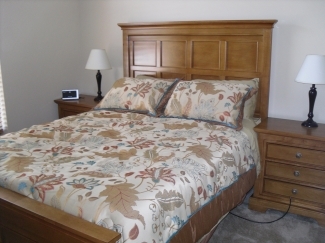 Master bedroom has king size bed, an en-suite with bath and walk-in shower, a double vanity unit and walk-in closet. Equipped with 32in HD TV. Second bedroom has a queen size bed, and third has twin beds. The kitchen is well equipped with appliances, including electric cooker,dishwasher, waste disposal unit, fridge freezer, plus a microwave, coffee machine, toaster and kettle. There is a garage laundry area with automatic washing machine, tumble drier, plus iron and ironing board. 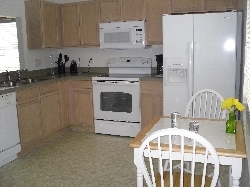 All towels and linens are provided, including beach towels. 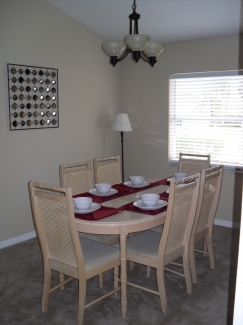 Seasons is a really great villa to relax in after a day at the parks or just if you like peace and tranquillity. The state tax of 13% is not included.